Cedarville University received a B.
Washington Monthly's ranking of 153 out of 224 of Affordable Elite Colleges - Overall Rank was a major contributor to this grade. "A "vibrant" and genuine commitment to Jesus Christ is what distinguishes this, well, very Christian college located about 20 miles from Dayton, Ohio. Students here attend daily chapel service, learn a lot about the Bible, and observe a strict dress code. Canadian geese who make their homes around Cedar Lake hang out on campus year-round." Describe the type of student who should not attend Cedarville University and explain why. There is not a wrong type of student for Cedarville. However, if a student attends Cedarville who is not receptive to Christ and His Message, he or she will not fully grasp or appreciate their Biblical education. Describe the type of student who should attend Cedarville University. Why? Cedarville students should be hardworking students that want to succeed in the academic realm as well as further their relationship with Christ and his followers. What is a typical Cedarville University student like? Describe the type of person that should attend Cedarville University. What are the top 3 reasons someone should attend Cedarville University? What was a typical Cedarville University student like in high school? Describe the type of person that should attend Cedarville University. Located in southwest Ohio, Cedarville University attracts 3,300 undergraduate, graduate, and online students to more than 100 areas of study. Cedarville is a Christ-centered learning community recognized nationally for rigorous academic programs, strong graduation and retention rates, accredited professional and health science offerings, and leading student satisfaction ratings. What are the top 3 things that students do for fun at Cedarville University? 20% of students received Pell Grants, which are provided by the U.S. government to students from middle and lower income families. It gives you an idea of a school’s socio-economic diversity. Campus housing is available for undergraduates. Housing deposit : $250.00. Housing deposit due : May 1. Housing deposit is not refunded if student does not enroll.. Freshman allowed to have car. No pets. 76% of students live on-campus. 96% of freshman live on-campus. A program that focuses on the Christian and/or Jewish Bible and related literature, with an emphasis on understanding and interpreting the theological, doctrinal, and ethical messages contained therein. May include preparation for applying these studies in various religious vocations. A program that prepares individuals to apply artistic and computer techniques to the interpretation of technical and commercial concepts. Includes instruction in computer-assisted art and design, printmaking, concepts sketching, technical drawing, color theory, imaging, studio technique, still and life modeling, multimedia applications, communication skills and commercial art business operations. Any instructional program in history not listed above. A program in the applied visual arts that prepares individuals to use artistic techniques to effectively communicate ideas and information to business and consumer audiences via the creation of effective forms, shapes, and packaging for manufactured products. Includes instruction in designing in a wide variety of plastic and digital media, prototype construction, design development and refinement, principles of cost saving, and product structure and performance criteria relevant to aesthetic design parameters. A program that focuses on the theory and practice of religious outreach, social service and proselytization, and that prepares individuals for mission vocations. Includes instruction in theology, evangelism, preaching, medical and social mission work, missionary education, missionary aviation, emergency services, legal and political aspects of working in other countries, and preparation for ordination as missionaries. A program that prepares individuals to provide musical instruction and tutoring to clients in private and institutional settings. Includes instruction in music theory, music composition, mastery of one or more instruments, familiarity with various musical genres and styles, principles of music education, and client communications. A program that generally prepares individuals to master musical instruments and performing art as solo and/or ensemble performers. Includes instruction on one or more specific instruments from various instrumental groupings. Conduct, direct, plan, and lead instrumental or vocal performances by musical groups, such as orchestras, bands, choirs, and glee clubs. Includes arrangers, composers, choral directors, and orchestrators. A program that focuses on the study of the principles of sound manipulation as applied to the creation of music, and the techniques of creating and arranging music. Includes instruction in aural theory, melody, counterpoint, complex harmony, modulation, chromatics, improvisation, progressions, musical writing, instrumentation, orchestration, electronic and computer applications, studies of specific musical styles, and development of original creative ability. All religious workers not listed separately. A program that focuses on professional, technical, business, and scientific writing; and that prepares individuals for academic positions or for professional careers as writers, editors, researchers, and related careers in business, government, non-profits, and the professions. Includes instruction in theories of rhetoric, writing, and digital literacy; document design, production, and management; visual rhetoric and multimedia composition; documentation development; usability testing; web writing; and publishing in print and electronic media. A program that focuses on the theory and practice of providing educational services to members of faith communities, within the context of a particular religion, and that prepares individuals to serve as religious educators. Includes instruction in planning and teaching lessons, organizing and supervising instructional activities, designing and developing instructional materials, and administering religious education programs and facilities. A program that focuses on the history, theory, composition, and performance of music for religious or sacred purposes, and that prepares individuals for religious musical vocations such as choir directors, cantors, organists, and chanters. Any instructional program in theological studies and religious vocations not listed above. A program that prepares the ordained clergy and other religious professionals to provide spiritual, counseling, and leadership services to children, adolescents, and young adults. Includes instruction in child and adolescent psychology, human growth and development, family studies, communication skills, religious education, youth counseling, small group leadership, planning and organizing youth activities, volunteer supervision, and youth evangelism and worship. A program that generally prepares individuals to perform the duties of administrative assistants and/or secretaries and stenographers. Includes instruction in business communications, principles of business law, word processing and data entry, office machines operation and maintenance, office procedures, public relations, secretarial accounting, filing systems and records management, and report preparation. Provide high-level administrative support by conducting research, preparing statistical reports, handling information requests, and performing clerical functions such as preparing correspondence, receiving visitors, arranging conference calls, and scheduling meetings. May also train and supervise lower-level clerical staff. Any instructional program in business, management, marketing and related support services not listed above. A program that prepares individuals to teach biology programs at various educational levels. A program that prepares individuals to teach chemistry programs at various educational levels. A program that prepares individuals to teach music and music appreciation programs at various educational levels. A program that prepares individuals to teach physics programs at various educational levels. A program that prepares individuals to teach general science programs, or a combination of the biological and physical science subject matter areas, at various educational levels. A program that prepares individuals to teach general social studies programs at various educational levels. A program that prepares individuals to teach Spanish language programs at various educational levels. Any instructional program in allied health and medical assisting services not listed above. Evaluate and advise individuals to assist recovery from or avoid athletic-related injuries or illnesses, or maintain peak physical fitness. May provide first aid or emergency care. A program that focuses on the application of the physical, biomedical, and social sciences to the analysis and evaluation of physical evidence, human testimony and criminal suspects. Includes instruction in forensic medicine, forensic dentistry, anthropology, psychology, entomology, pathology, forensic laboratory technology and autopsy procedures, DNA and blood pattern analysis, crime scene analysis, crime scene photography, fingerprint technology, document analysis, witness and suspect examination procedures, applicable law and regulations, and professional standards and ethics. Collect, identify, classify, and analyze physical evidence related to criminal investigations. Perform tests on weapons or substances, such as fiber, hair, and tissue to determine significance to investigation. May testify as expert witnesses on evidence or crime laboratory techniques. May serve as specialists in area of expertise, such as ballistics, fingerprinting, handwriting, or biochemistry. A general program that focuses on activities and principles that promote physical fitness, achieve and maintain athletic prowess, and accomplish related research and service goals. Includes instruction in human movement studies, motivation studies, rules and practice of specific sports, exercise and fitness principles and techniques, basic athletic injury prevention and treatment, and organizing and leading fitness and sports programs. Assess, plan, or implement fitness programs that include exercise or physical activities such as those designed to improve cardiorespiratory function, body composition, muscular strength, muscular endurance, or flexibility. A program that prepares individuals for the professional study of law at the post-baccalaureate level. A program that prepares individuals to apply business, coaching and physical education principles to the organization, administration and management of athletic programs and teams, fitness/rehabilitation facilities and health clubs, sport recreation services, and related services. Includes instruction in program planning and development; business and financial management principles; sales, marketing and recruitment; event promotion, scheduling and management; facilities management; public relations; legal aspects of sports; and applicable health and safety standards. An integrated, combined program that focuses on the scientific study of cells, cellular systems, and the molecular basis of cell structure and function. Includes instruction in cell biology, cell chemistry, molecular biology, biophysics, and structural biology. A program that generally prepares individuals to function as workers and managers within communications industries. Includes instruction in business economics; basic management; principles of interpersonal and mediated communications; radio, television, and digital media production; and related aspects of technology and communications systems. Operate machines and equipment to record, synchronize, mix, or reproduce music, voices, or sound effects in sporting arenas, theater productions, recording studios, or movie and video productions. Edit moving images on film, video, or other media. May edit or synchronize soundtracks with images. Any instructional program in communication and media studies not listed above. A program that focuses on the development, use, critical evaluation, and regulation of new electronic communication technologies using computer applications; and that prepares individuals to function as developers and managers of digital communications media. Includes instruction in computer and telecommunications technologies and processes; design and development of digital communications; marketing and distribution; digital communications regulation, law, and policy; the study of human interaction with, and use of, digital media; and emerging trends and issues. A program that focuses on the theory and practice of gathering, processing, and delivering news and that prepares individuals to be professional print journalists, news editors, and news managers. Includes instruction in news writing and editing; reporting; photojournalism; layout and graphic design; journalism law and policy; professional standards and ethics; research methods; and journalism history and criticism. A program that focuses on general communication processes and dynamics within organizations. Includes instruction in the development and maintenance of interpersonal group relations within organizations; decision-making and conflict management; the use of symbols to create and maintain organizational images, missions, and values; power and politics within organizations; human interaction with computer technology; and how communications socializes and supports employees and team members. A program that focuses on human and media communication in the political process and that prepares individuals to function as members of political and public affairs organizations, political campaign staffs, and related government and media entities. Includes instruction in media effects, political speaking and debating, political advertising and marketing, image management, political journalism, opinion polling, and aspects of print and broadcast media related to the production and distribution of media messages in political settings. Any instructional program in psychology not listed above. A program that focuses on the theories, methods, and techniques used to plan, produce, and distribute audio and video programs and messages, and that prepares individuals to function as staff, producers, directors, and managers of radio and television shows and media organizations. Includes instruction in media aesthetics; planning, scheduling, and production; writing and editing; performing and directing; personnel and facilities management; marketing and distribution; media regulations, law, and policy; and principles of broadcast technology. 33% of students graduated in the top tenth of their class. The average student pays $22,648 for tuition, fees, and other expenses, after grants and scholarships. Total stated tuition is $26,220, in-state and on-campus, before financial aid. 95% of students receive some form of financial aid. 61% of students graduated on time. 72% of students graduated in six years. 85% of full time students continued studying at this school after freshman year. The typical (median) early career salary of Cedarville University graduates is $44,200, according to Payscale. Cedarville University participates in the NCAA Division II for college athletics. 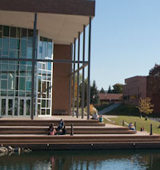 Want more info about Cedarville University? Get free advice from education experts and Noodle community members. How do I get a schedule of events taking place that are open to the public such as musicals, concerts, etc.? You can find events that are happening at Cedarville University by clicking on "Events" tab of their website, accessible here. A full calendar of events is posted there!